This cute cartoon hamster recreates Kate’s best fashion moments | HELLO! June 10, 2016 - 14:50 BST hellomagazine.com SO cute! 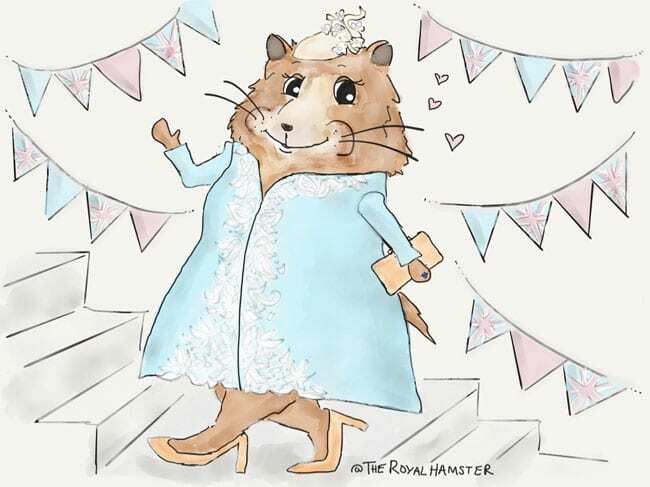 After the Duchess of Cambridge revealed that her children Prince George and Princess Charlotte were the proud new owners of a pet hamster named Marvin, blogger Christine Frazier set up the Twitter account @theroyalhamster and started making illustrations - much to team HELLO! 's delight. And while we love all the fun drawings, our favourites have to be the ones where the furry creature recreates Kate's best looks. The most recent is Kate's outfit from her appearance at St Paul's Cathedral on Friday, sporting a Catherine Walker dress and Jane Taylor hat. 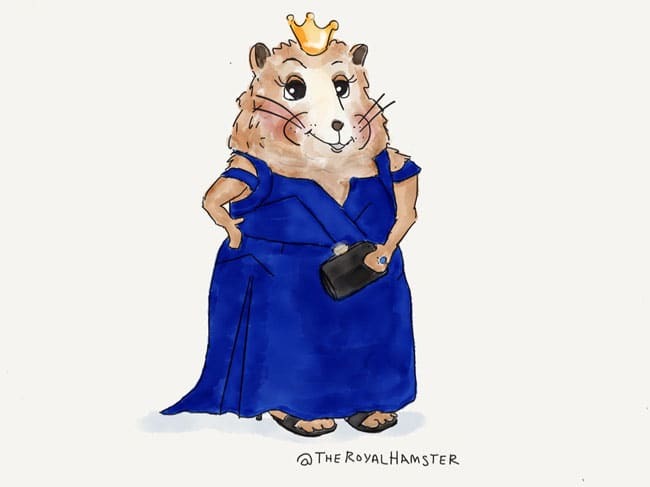 And another illustration showed the royal hamster wearing Kate's tight-fitting Roland Mouret dress that she wore to a dinner at Kensington Palace the previous evening. The one that got the most laughs in the HELLO! office, however, is the hamster's #throwbackthursday illustration, which shows the cute little animal sporting the sheer black dress that Kate wore on the catwalk when she was a student. Her turn on the runway is widely thought to be the moment that won Prince William's heart. Speaking to HELLO! last month, Christine said: "As soon as he [the hamster] was announced, it seemed like the character of Marvin just scurried through my head. "I love drawing doodles for my blog BetterNovelProject.com, so that evening I just tried my hand at drawing Marvin. 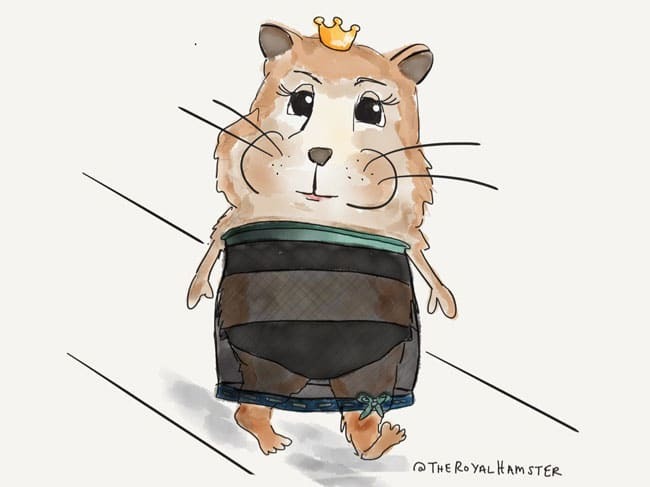 Something about a hamster who is obsessed with the royals kept making me smile, so I decided to post the illustrations just for fun."